I prefer savory foods for breakfast. I’ll take leftover pizza, some bacon, and eggs, or a nice sandwich over pancakes any time. However, add Nutella into the mix and I forget all about my love for savory foods. Few things set you up for a great, happy day like having Nutella for breakfast. 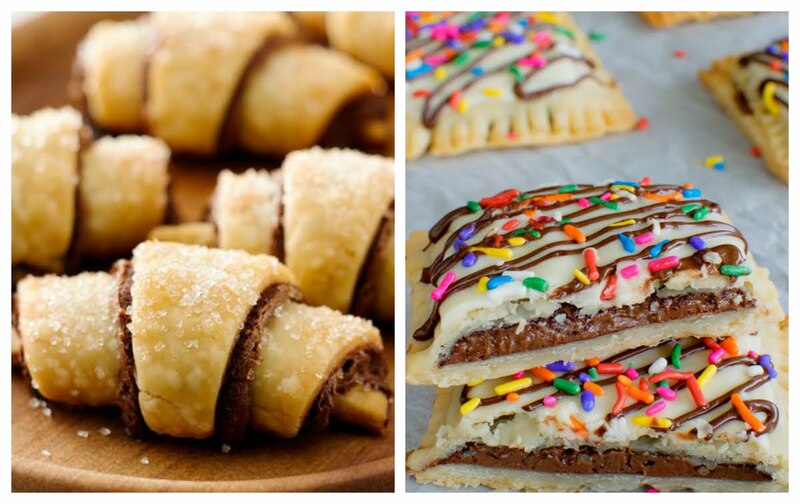 Here are 10 glorious ways to have Nutella for breakfast that will never disappoint! 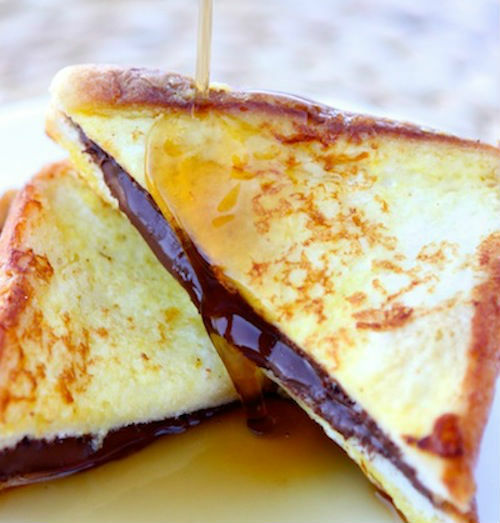 Nutella Stuffed French Toast is a great breakfast food for several reasons, the most important of which is, obviously, that it has Nutella in it. Make a Nutella sandwich with your favorite bread, dip both sides of the sandwich in an egg-milk mixture and lightly brown on each side. Oh so good! It’s also quick and easy to make, combines both savory and sweet tastes, and only takes four ingredients + love. 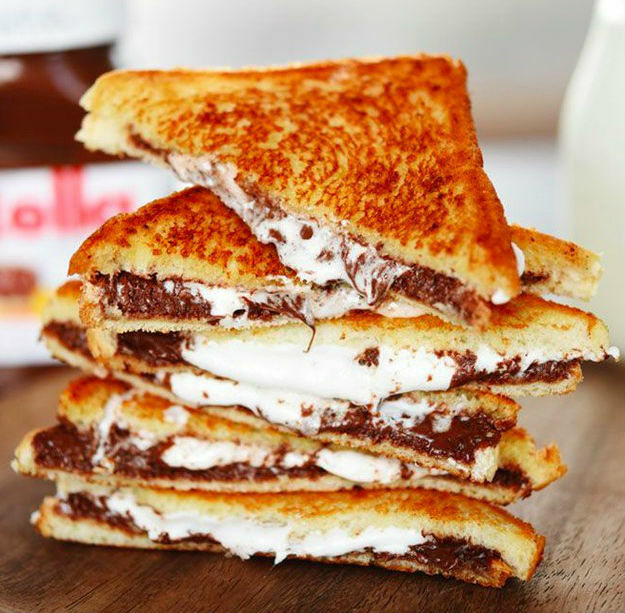 Imagine s’mores, but with toast, but way better. You might miss the campfire vibe as you’re cooking and eating them, but I’d be hard-pressed to think of a better way to return into childhood during breakfast. 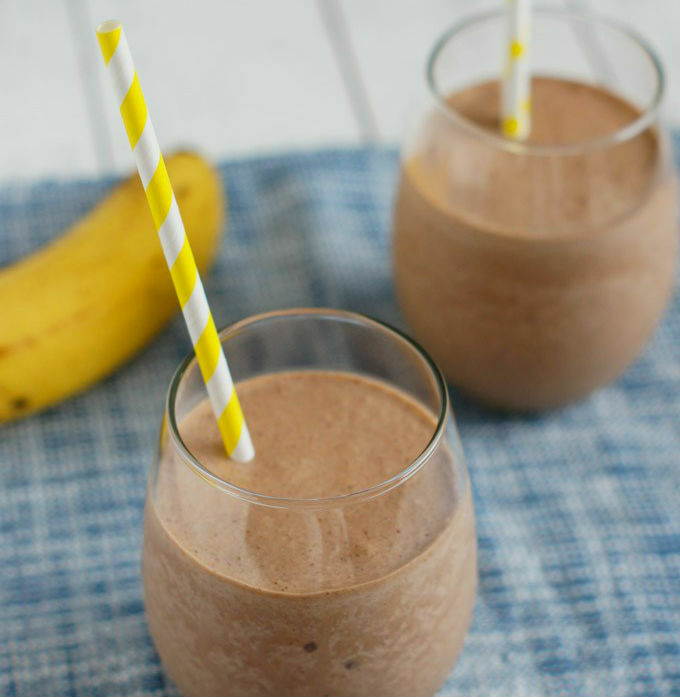 Forget Bulletproof Coffee and Kale smoothies, because the Nutella + Banana milkshake is here! It’s sweet, tasty, and cold. It’s the perfect breakfast in and of itself, but it will also go great as the desert you have after a nice savory morning meal. These take a bit longer to prepare, but the result is well worth it. 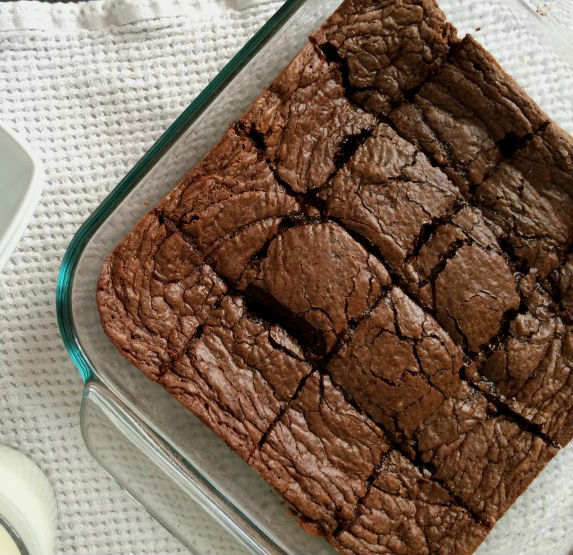 Using Nutella when making brownies is a solid way to ensure that your brownies turn out with the perfect consistency – solid, but slightly moist and chewy. The most important trick to making the perfect Nutella Brownies is to add just slightly more salt than you think is necessary, because salt will make the sweetness of Nutella stand out more. A cookie twist on the classic Nutella crepe. The greatest thing about this recipe is that it’s perfect for people who seldom have time to eat breakfast at home. With this recipe, you can easily make yourself a batch of cookie rolls to take with you and eat at work or during your commute. Just like the rolls before, this is a cookie twist on the beautiful French breakfast food (for people who can’t appreciate croissants). 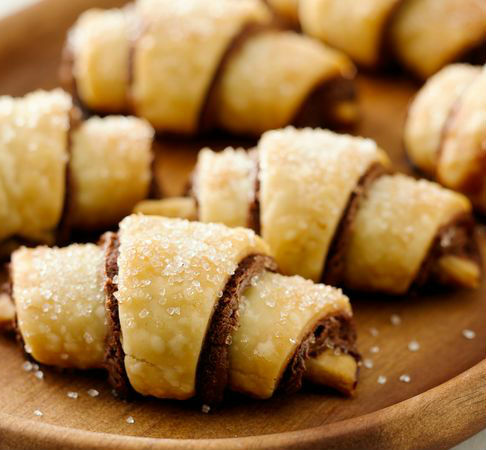 Delicious, sweet, and portable cookie rolls that will make everyone who sees you eating them jealous. Once again, one of the secrets of making Nutella taste even better (I know, I was also shocked that it’s possible), is to have something salty with it. 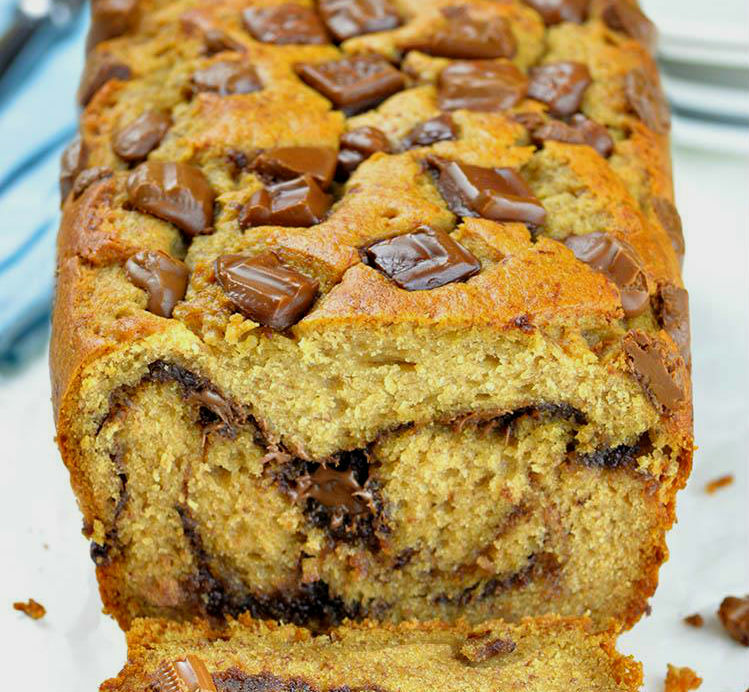 Hence, this combination of peanut butter and Nutella is a surefire way to take your banana bread to the next level! 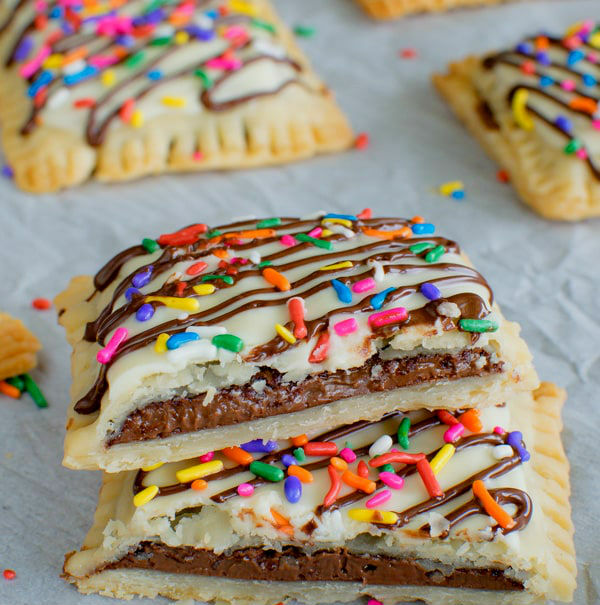 Okay, controversial food take – I was never a fan of pop tarts. I’m a savory food person, and the sweetness of pop tarts is just too much for my pallet. However, I’ve tried making these at home, and I have to say that they’re the absolute greatest. Like store-bought pop tarts, you can store these for more than a couple of days and they’ll still be good! The fact that raisin cookies look exactly the same as chocolate chip cookies are one of the Top 5 reasons I have trust issues as an adult. 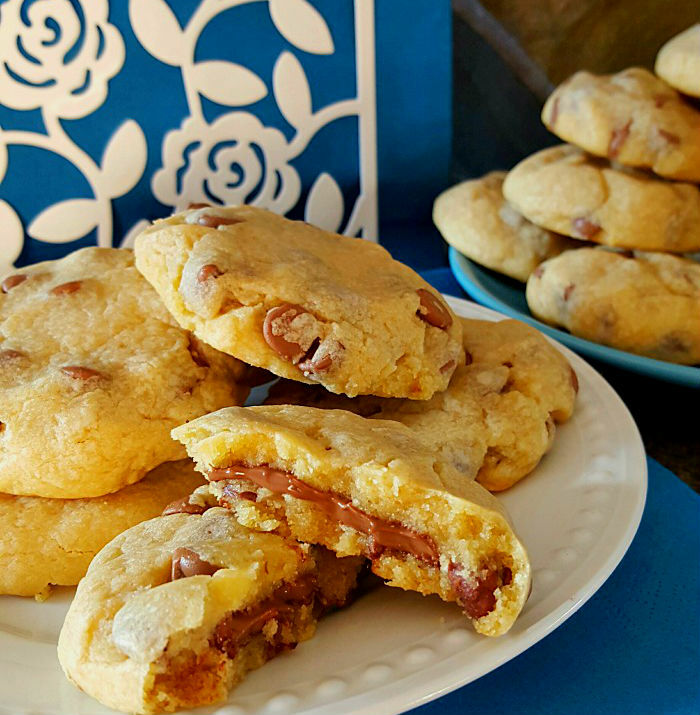 If you want to make sure your cookies are always, clearly, 100% for sure filled with chocolate – make them with Nutella instead of chocolate chips! It’s delicious! 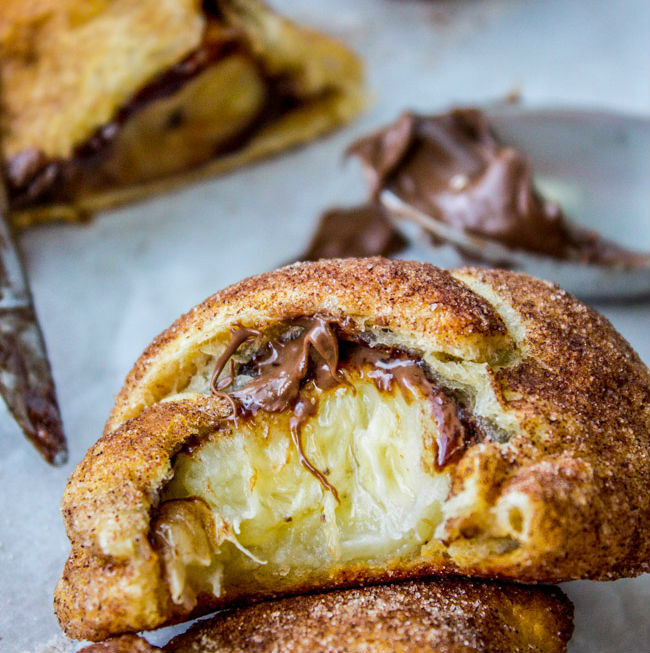 Like the Nutella + Banana milkshake, this breakfast food is perfect. 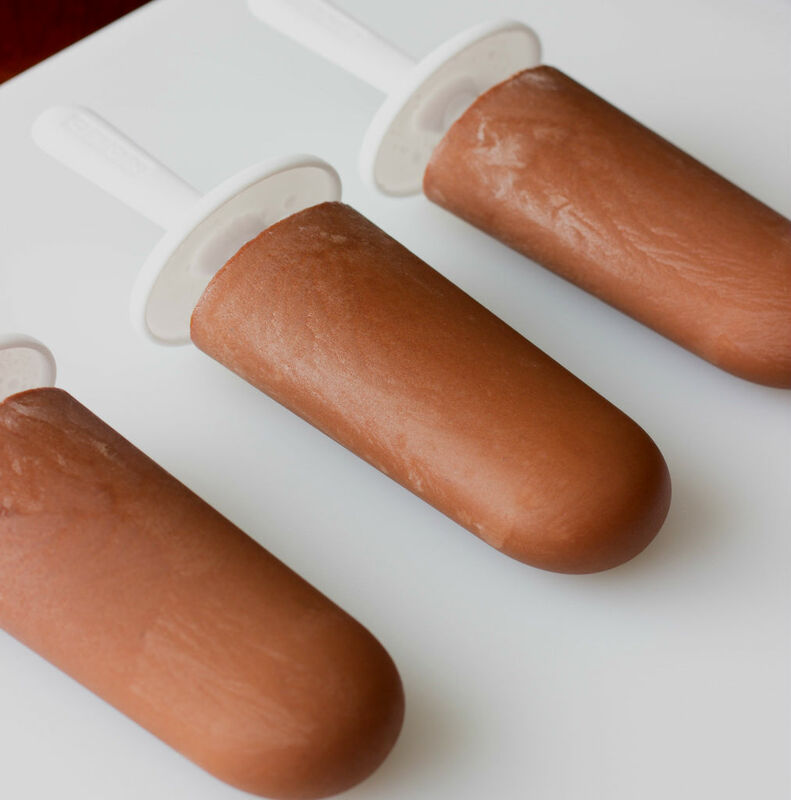 The only thing that could be better than having ice cream for breakfast is having these Nutella popsicles for breakfast. Summer’s almost over, so if you’re planning on making all the foods on this list, I strongly suggest that you start with this. I definitely saved the best for last. Enjoy!